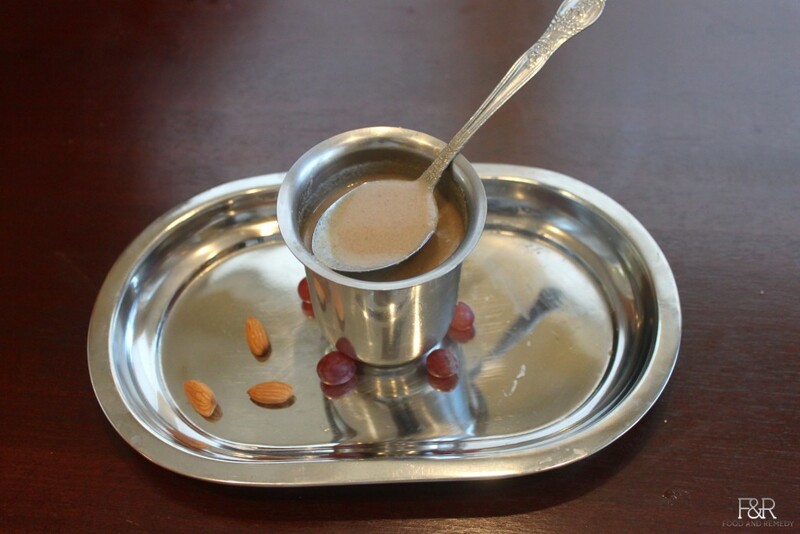 This is a very traditional and authentic Gasagase Payasam (Khus khus Kheer) recipe, which is very popular in karnataka. Drinking this kheer before going to bed will assure a very good night sleep. Fry the rice and Poppy Seeds until it gives a good aroma. Keep it aside. To clean the jaggery, add little water and heat it. Once It is melted, strain it with clean cloth or strainer. Now grind the coconut, fried gasagase,rice and cardamom into fine paste by adding little water. Transfer the grind mix to a pan, cleaned jaggery syrup and remaining water and boil it on a medium heat. Once it starts boiling, a minute more is enough and then turn off the heat. Drink this hot Gasagase Payasa , before going to bed to get a good night sleep. I used your recipe for preparing gasagase paayasa last two times and it came out very well. All the friends loved it too. The only variation I made was, I added some 30-40 soaked almonds, removed their skin and ground them along with gasagase, akki and tengina kaayi to a fine paste. It gives a good taste and consistency and is also good for your health. Thanks for the recipe.